Depression is a massive health burden with over 350 million people suffering from it globally. As a result, drugs like Prozac are massive sellers. For those who want to avoid these drugs, effective natural options have been limited. 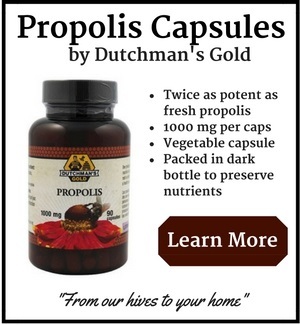 However, ground breaking research on propolis & honey may be changing that. Depression, of course, despite the best efforts of many, still carries with it a social stigma. Add to that the problems associated with side-effects and many patients feel that, when it comes to antidepressants, the possible benefits do not outweigh the negatives. 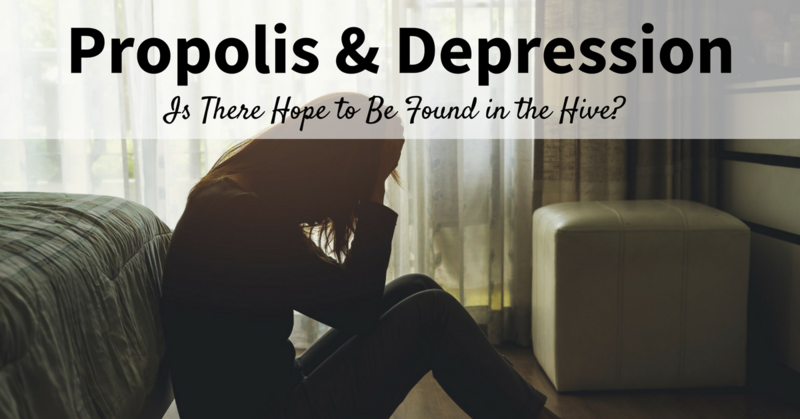 Yet propolis is proving to be a potential alternative treatment for depression, and without the side-effects, in many emerging research studies. 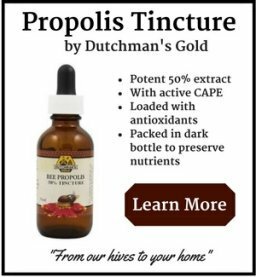 Is CAPE the Magical Compound in Propolis? 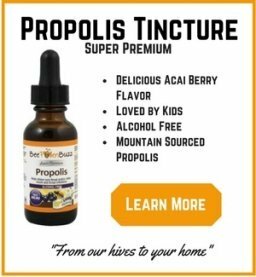 In 2014 the same research team which performed the 2013 study, were so intrigued by the beneficial effects of the propolis extracts, that they decided to investigate which component, out of the 200 or so that propolis contains, was likely to be responsible for the improvements. They were aware that caffeic acid phenethyl ester (CAPE) had several effects not only on the central nervous system but also glutamate induced neurotoxicity, and concluded that, combined with the effects shown in their previous study, CAPE was likely to mediate depressive symptoms. Although there were numerous biochemical markers measured, when it came to physical responses, what the research indicated was that their initial hypotheses was correct and, animals in specific groups given CAPE showed significant improvement in actual physical symptoms. They also reported that the results were consistent - unlike the control groups which were treated with fluoextine. 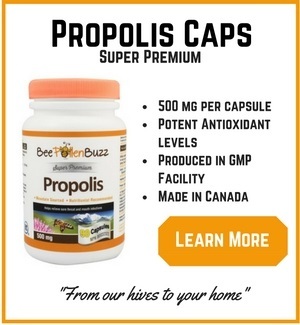 Research at the moment is only in its infancy, however all the emerging work suggests that propolis may provide those suffering from varying levels of depression, with some relief from the symptoms that is at least equal to that of many popular antidepressants and which results in no significant side-effects. If you are one of the millions of people around the world who would prefer to use natural compounds to support your mood and counter the debilitating effects of depression, consider the following research backed supplements and foods. Omega 3 fatty acids from fish. Ensure it is high in EPA. 1 - 2 tablespoons per day. Raw, unfiltered, unpasteurized honey: 1 - 2 tablespoons per day of which at least one is one hour before bed. Raw honey contains Chrysin. Also get 30 - 45 minute of exercise (walking is fine) per day along with at least 30 minutes of direct sunlight. If you can't get outside, consider using a HappyLight which provides UVB rays.